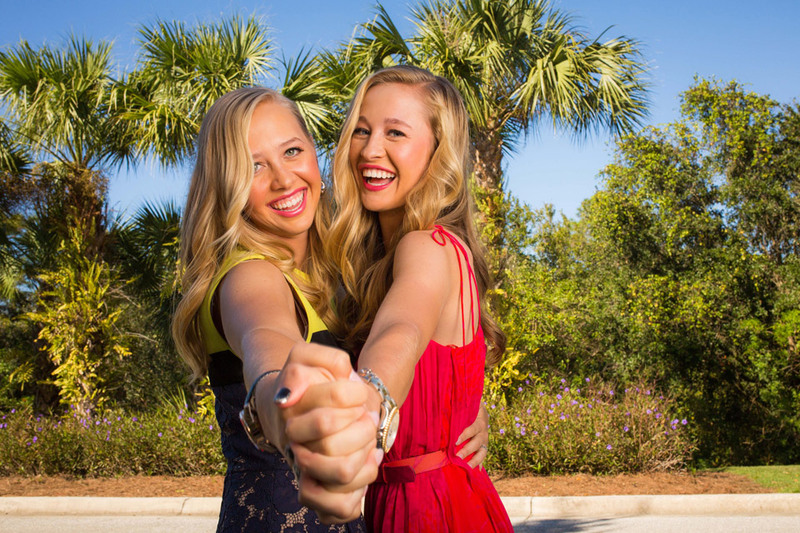 The LPGA moves to Scotland next week for the playing of the Ricoh Women's British Open. This will be the fourth of five majors on the 2013 schedule. 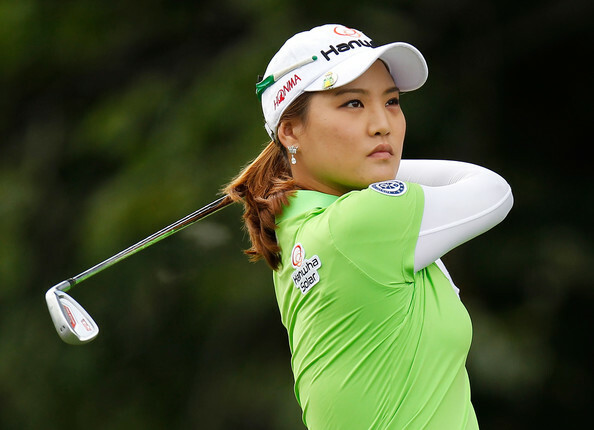 Inbee Park has captured the first 3 majors so far this year, and will be trying to make history by winning number four. This tournament also has added importance, as it is the last chance for those players on the bubble of making the Solheim Cup team to step up and earn their spot. Captain Meg Mallon will also announce her 2 captains' picks at the completion of play. This will be tournament #18 of 28 on the LPGA schedule this year. This is an early preview as I will be flying out to Scotland in a few hours. Just returned from The Marathon Classic in Sylvania, Ohio. As has been the case in just about every tournament this year, it went down to the very last shot. Beatriz Recari sank her four foot par putt on the 72nd hole to come out victorious by one shot over Paula Creamer. I followed the final group, which also includied Lexi Thompson, and was treated to some of the finest golf you will see on any tour. All three players played 18 holes without a single blemish on their scorecard. In fact Lexi won a car when she aced the 14th hole! Here are some pictures and videos from this very exciting event. Let me start out by congratulating Hee Young Park for her very exciting victory over Angela Stanford on the 3rd playoff hole of the Manulife Financial Classic. What an incredible season this has been so far. Almost every tournament this year has been decided on the final hole or has gone into a playoff. The LPGA moves back to the United States this week for the playing of the Marathon Classic presented by Owens Corning O-1. This will be tournament # 17 of 28 on the LPGA schedule this year. My strength of field rating is 72.5%, which ranks it the third weakest of the tournaments played this year so far. 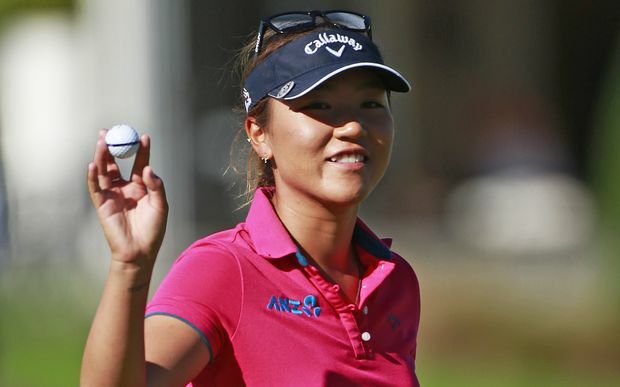 Key players that are missing this week include: Ai Miyazato, Jiyai Shin, Cristie Kerr, Brittany Lincicome, Beatriz Recari, Se Ri Pak, Pornanong, Phatlum, Caroline Hedwall, Carlotta Ciganda, and Moriya Jutanugarn. Paula Creamer becomes 2nd Fastest to 10 Million Mark! If you watch the LPGA regularly I am sure you hear it mentioned at least once every broadcast that Paula Creamer has not won since winning the U.S. Open in 2010. That of course is true, but doesn't tell the entire story of the level of golf Paula is playing. When a top player doesn't win for 3 years it usually means that they are in some kind of playing slump. Looking at Paula's record, she really has not had a period in her career where she has ever played poor golf. In fact, I can't find where she has ever had three bad tournaments in a row. It seems that in spite of the fact that she has been absent from the winner's circle for 3 years, she is always on the first or second page of the leader board. In fact she has finished in the top twenty 11 times this year already. That is more times than Inbee, Yani, Suzann, and Stacy. That is more times than anyone on the LPGA this year. She has also made 56 consecutive cuts. 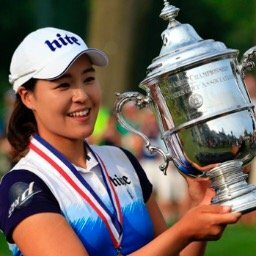 1- Inbee Park - I didn't have her on my earlier list because I picked her before the season started to be the player of the year. The fact that she had an early victory wasn't really surprising. What has happened since has been just plain astonishing. Inbee has not only won 6 times already this year, but she has won the first 3 major championships of the year.